Delighted to once again to share a brand new episode of ‘Millions Like Us’, a music podcast with myself & Justin Beats, in conjunction with Vancouver news & culture site 604now. A bi-weekly digest of music from metro Vancouver and beyond, the fourth installment has the usual chatter and top tunes, comprised from an eclectic mix of styles and genres. There’s also a chance of winning tickets for the excellent Girl Band, for their show in The Media Club, Vancouver on November 20th. Edit – Girl Band have unfortunately had to cancel all their upcoming shows, including Vancouver, due to health reasons. We wish them a speedy recovery and hopefully we’ll see them visit Vancouver in the future. That#s about that then, we hope you enjoy episode 4. You can read more on it here and listen to episode #4 below, and the tracklist (with links) is after the jump. If you would like to get in touch the show, you email them at millionslikeuspodcast[at]gmail[dot]com. You can subscribe to ‘Millions Like Us’ on iTunes & Podcast Republic or find us on Facebook & Twitter. Until Episode #5, here’s to good listening. BarryGruff is 5 years old today! Those five years have been interesting and fun. The blog has ebbed and flowed in parallel with my own life which has moved on somewhat from where it was back in March 2010. Since my early teens spouting about music has always been part and parcel of my life but I’m very grateful to have been in a position to share those musings and whatnot with a wider audience than my mates (or whoever is willing to listen). Blogging has become quite a big part of my life and while listening to and discovering new music etc. is something that comes rather natural, a lot of my free time is devoted to the upkeep of the blog and how much longer I can continue to do so is anyone’s guess. It might be one year or another five, who knows? So with that in mind I really wanted to do something really special to mark the occasion and I’m pretty damn chuffed with this one. Without further a do, to celebrate 5 years of BarryGruff is ‘GruffWuff’: A 19 track compilation of new, previously unreleased and exclusive recordings from some of my very favourite acts over the past 5 years of blogging. While I initially thought it was just a pipe dream and one that would remain just that, the enthusiasm that met my initial inquiries bowled me over, I couldn’t believe how eager everyone was. It is something that’ll stay with me forever and it means an awful lot. Hopefully it will shine a light, brief as it maybe on some of the acts that have brought me the most joy over the past few years. The enjoyment music brings me can’t be overstated, be it happy times or sad times, there’s one constant; music. Thanks to Stevie for all his assistance, Caroline for putting up with me, Peter Lee for mastering & all the artists who provided tracks for the compilation. A huge amount of credit must go to the artists involved for their eagerness and the ever so brilliant music. ‘GruffWuff’ will be released through Bandcamp on Thursday, March 19th and the tracklisting is below for your perusal. I’m really, really excited for people to finally hear what everyone’s been working away on for the past 9 months. Springtime Carnivore, the creation of LA musician Greta Morgan, will play the Biltmore Cabaret, Vancouver, this Monday (November 17), with Generationals. Morgan has bewitched us with several lush indie-pop gems this year and is out on tour in support of her marvellous eponymous debut album. Co-produced by Richard Swift (Foxygen, The Shins, The Black Keys), it is a wonderful collection of warm, slightly fuzzy, ebullient indie pop gems, with a soft psychedelic undercurrent that crackles, glows and swells amid off-kilter grooves. These tracks, mostly upbeat with big hooks and sun-kissed, are built around Morgan’s dazzlingly beautiful vocals that transfix you in all its gloriously smooth prowess. You can stream it here and see what all the fuss is about. Springtime Carnivore have kindly offered readers of the blog a chance to go to the show on Monday night, with a pair of tickets up for grabs. All you have to do to be in with a chance of winning is answer the following question: ‘What is the name of Springtime Carnivore’s recently released debut album?’ Email your answer, along with your ‘name’ and ‘Springtime Carnivore’ as the subject title to barrygruff[at]gmail[dot]com, before 12:00 (UTC) Sunday, November 16th. If you need any further convincing? 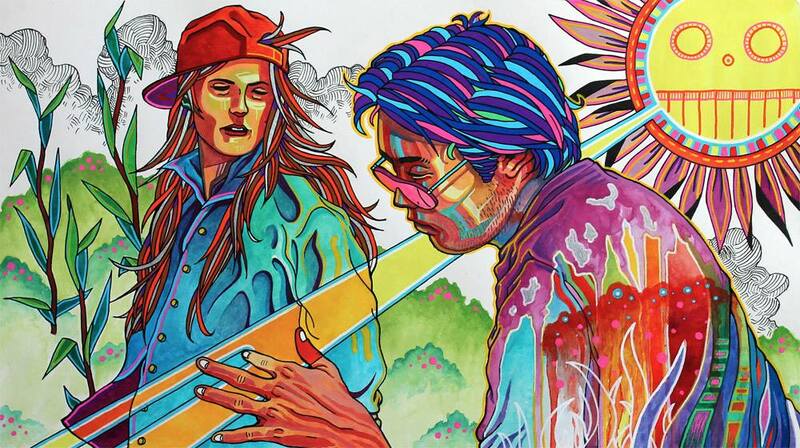 Here are a few choice cuts from Springtime Carnivore’s sublime debut record. It should be a sumptuous show. 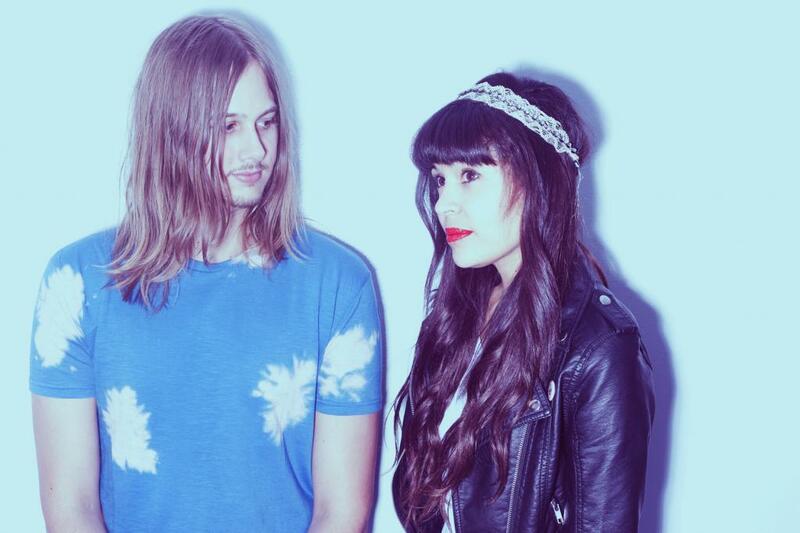 Florida duo Beach Day play The Electric Owl, Vancouver this Saturday night (August 23rd), as part of a summer tour in support of their new album, Native Echoes (stream it here). Beach Day have kindly offered readers of the blog a chance to go, with a pair of tickets up for grabs. All you have to do to be in with a chance of winning is answer the following question: ‘What is the name of Beach Day’s forthcoming album?’ (Hint: Check here). Email your answer, along with your ‘name’ and ‘Beach Day’ as the subject title to barrygruff[at]gmail[dot]com, before 12:00 (UTC) Friday, August 22nd. Saturday night’s show should be a cracker and I for one can’t wait. The ease and breeze of Beach Day’s bright blend of garage rock, surf pop and girl group sounds is a delight, and their new LP has been monopolising my time since last week. Inspired by nostalgia but powered by a fresh verve, it manages to capture the best parts of summer and sits comfortably alongside contemporaries like Cults and Tennis. Beach Day’s Kimmy Drake and Skyler Black have provided us with a treasure trove of loveable and inescapably brilliant tunes that explore everything from ‘60s girl groups to garage rock and punk. If you’re still not sold, there’s some choice cuts below to sway your opinion. Beach Day w/ support from Amanda X @ The Electric Owl, 926 Main Street, Vancouver, BC, V6A 2W1 ($10/7 PM) – (more details here). Competitions and giveaways are a rare thing on here but I’m delighted to be able to offer two pairs of tickets for Knoxville Morning: Celebrate 10 Years of Band On An Island in the Odessa Club on Friday, August 23rd. To be in with a chance of winning all you have to do is email your name to barrygruff[at]gmail[dot]com with ‘Knoxville Morning Giveaway’ as the subject title. Winners will be selected at random and the competition closes at 3pm, Friday, August 16th. If you still need persuading, here’s a wee bit of spiel about the band. Under whatever guise, Knoxville Morning or BOAI, they have played a hugely important role in the development of what is now a rather healthy music scene in Newbridge. To be fair, few, if any have done as much for music in the town. So, before Knoxville Morning came Band on an Island. 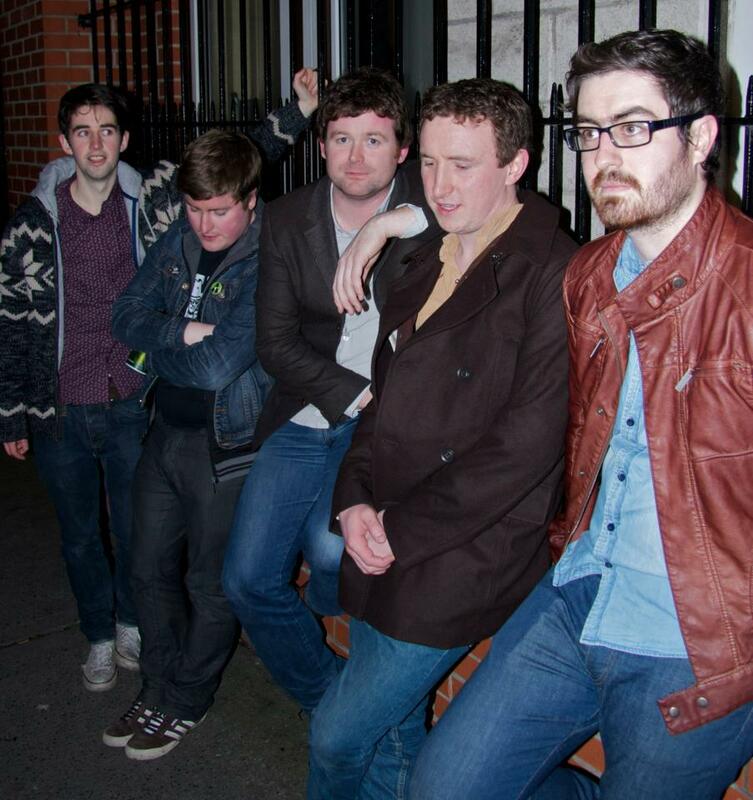 Formed over Campfire sing songs in Newbridge ten years ago, Band on an Island have enjoyed a good decade in Irish music. From the fire of those local campfires, they spread their music to places that even they themselves could never imagine. One of which was America, the birthplace of their beloved Country music, where the beginnings of a new project started to take shape. A trip across the US left Band on an Island founder and chief songwriter, Ciaran Dwyer with a collection of songs and stories, of a different variety to those of BOAI. Having assembled together the bones of a new album, with the help of his BOAI colleagues and a host of other musicians and friends, they recorded a new record under the new Alias “Knoxville Morning”. The resulting record was great – a sweet blend of folk, country and Americana, with Dwyer’s intuitive storytelling the linchpin that holds everything together. The record was well received elsewhere too and managed to secure a German record deal. For this night only in August, with the help of many friends, they will dig deep into their extensive catalogue of jams and celebrate Ten Years of friendship and Newbridge Music. Knoxville Morning: Celebrate 10 years of Band on an Island in the Odessa Club, 13 Dame Court, Dublin 2, Friday 23 August. Support: Daydream Regime, Appo & Rory Hughes. 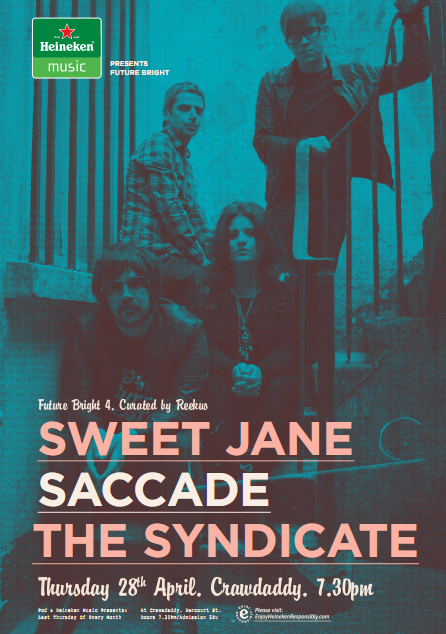 Doors: 8:30pm + Admission: €8. It’s competition time again. 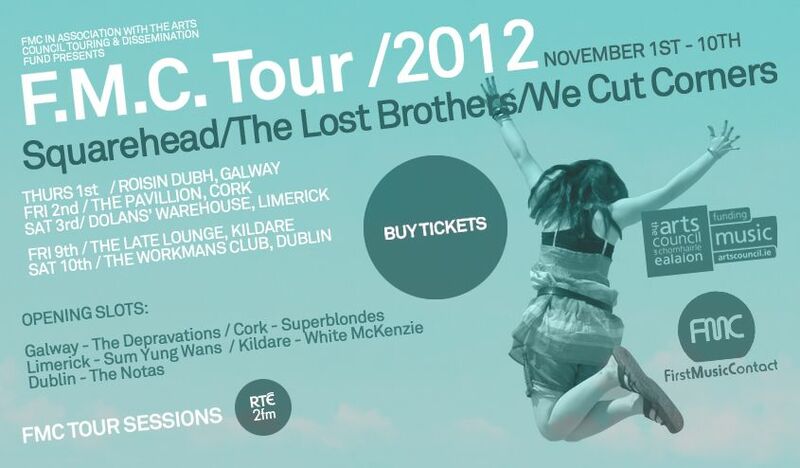 There are two pairs of tickets for the Kildare leg of the FMC Tour with Squarehead, The Lost Brothers and We Cut Corners up for grabs. It’s all happening in The Late Lounge, Kill, this Friday, November 9th, with the local support from White McKenzie. To be in with a chance there are no silly questions, just email your name to barrygruff [at] gmail [dot] com with ‘FMC Tour 2012’ as the subject title. Winners will be drawn at random and the competition closes at 12:00 on, Thursday, November 8th 2012. It promises to be a really great show with three of the finest acts in Ireland sharing the same bill, all of which have featured quite a bit on the blog. If that’s not enough of a ringing endorsement, there’s plenty of choice cuts from the bands playing below, in case you need further persuasion. The Unusual History of Ether, play The Riverbank , Newbridge next Thursday, November 1st. Having been introduced on the blog last week, The Unusual History of Ether have kindly offered BarryGruff readers the chance to go and enjoy the show in The Riverbank. There are two tickets up for grabs. No silly questions, just email your name to barrygruff [at] gmail [dot] com with ‘Riverbank’ as the subject title. Winners will be drawn at random and the competition closes at 12:00 on October 30th 2012. 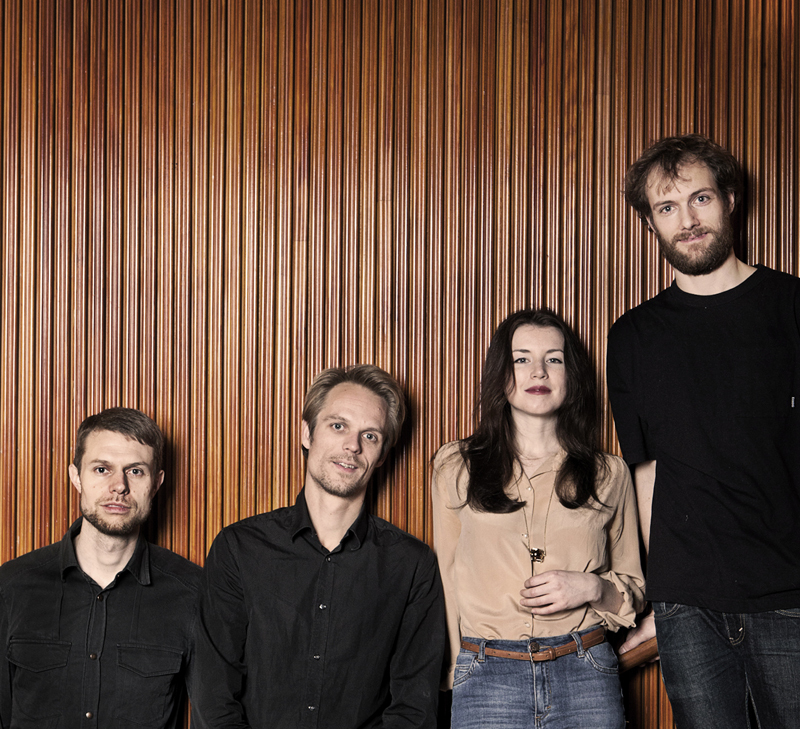 The Unusual History of Ether is a songwriting partnership between Rebecca Collins and Danish guitarist Mikkel Ploug. The fruits of this union is fresh, slightly dark but profoundly beautiful indie pop songs, which are sung with passion, performed with grace and recorded quite beautifully. The Unusual History of Ether do, at times, recall the noir-ish, Gothic parts of Anna Calvi’s irresistible self titled debut from last year. Tickets are €10/€12. Doors at 8pm & support comes from the ever brilliant Sive. Here’s a few choice cuts from the band.